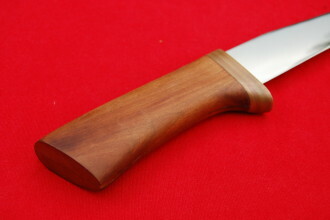 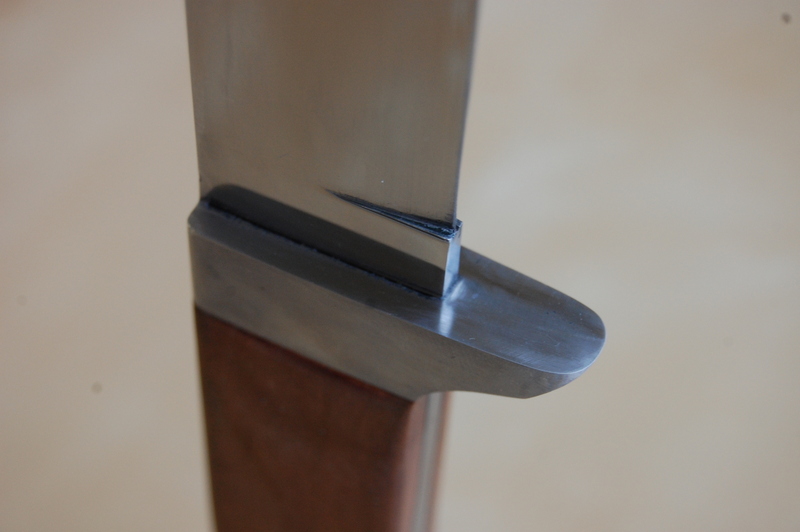 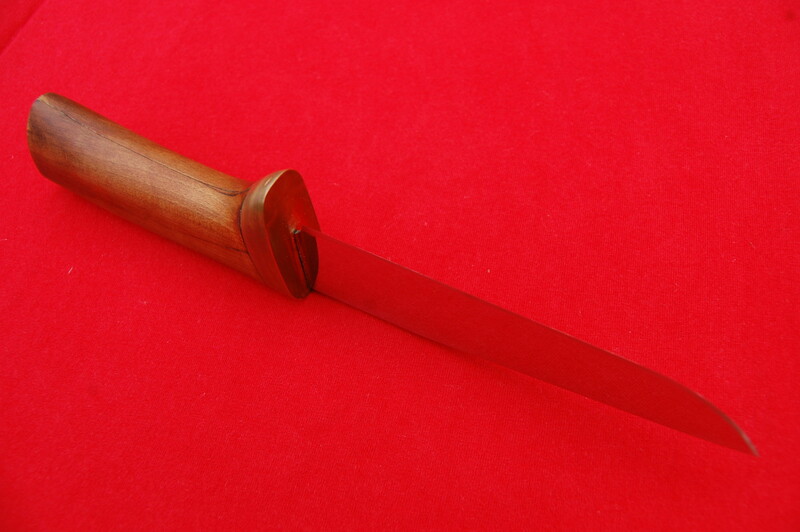 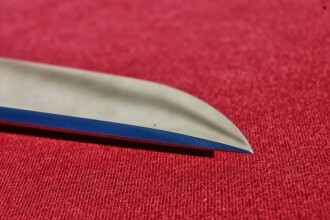 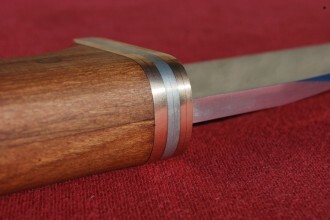 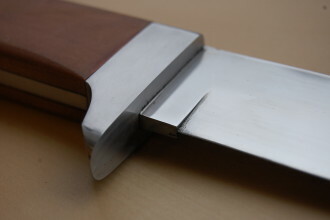 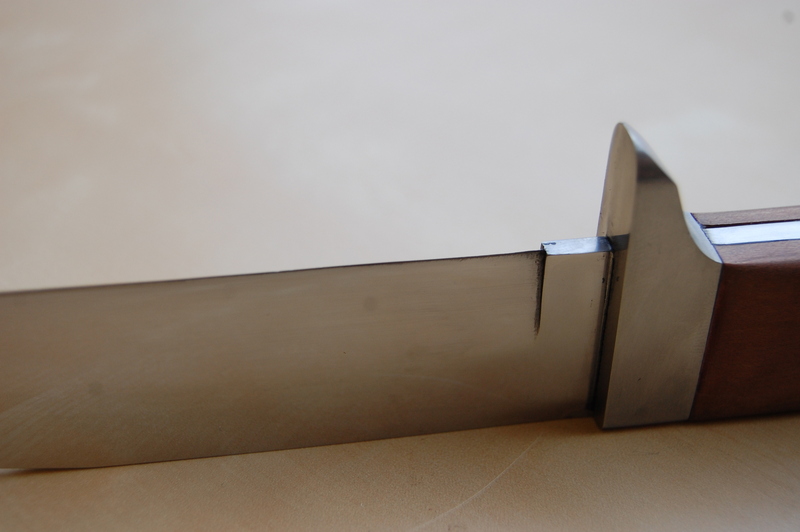 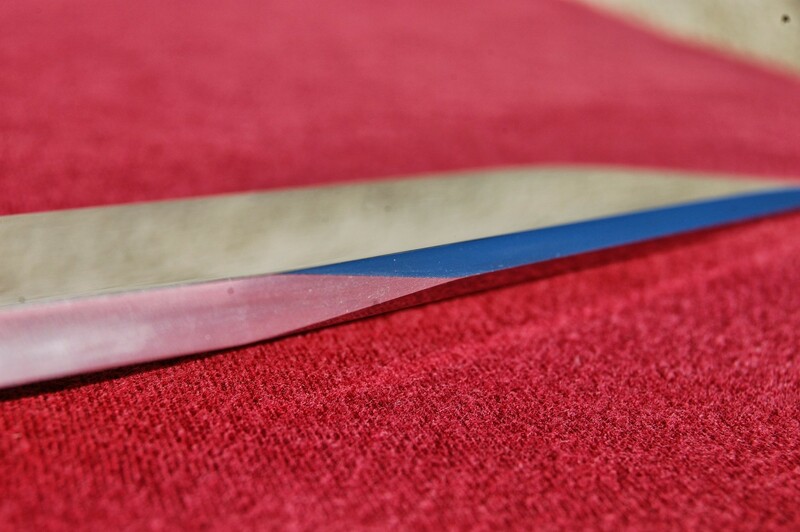 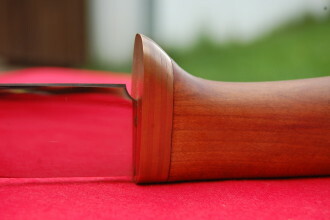 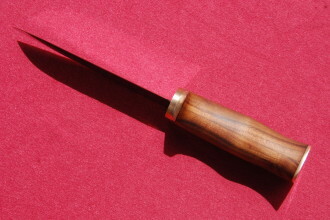 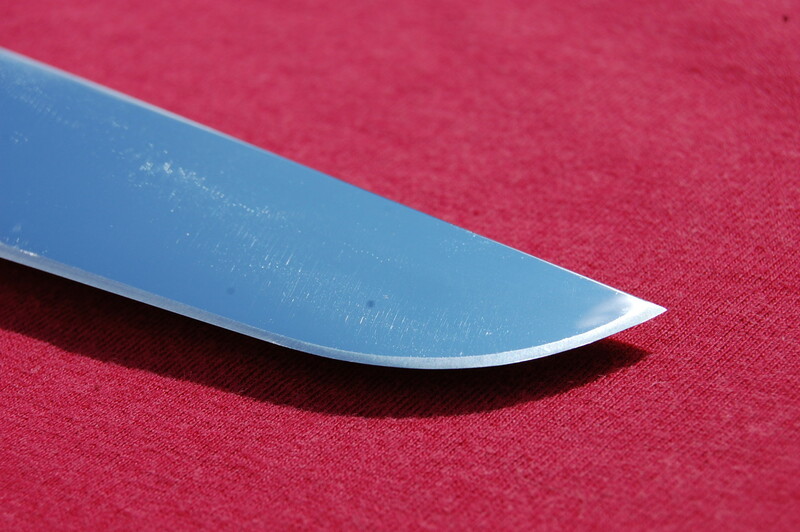 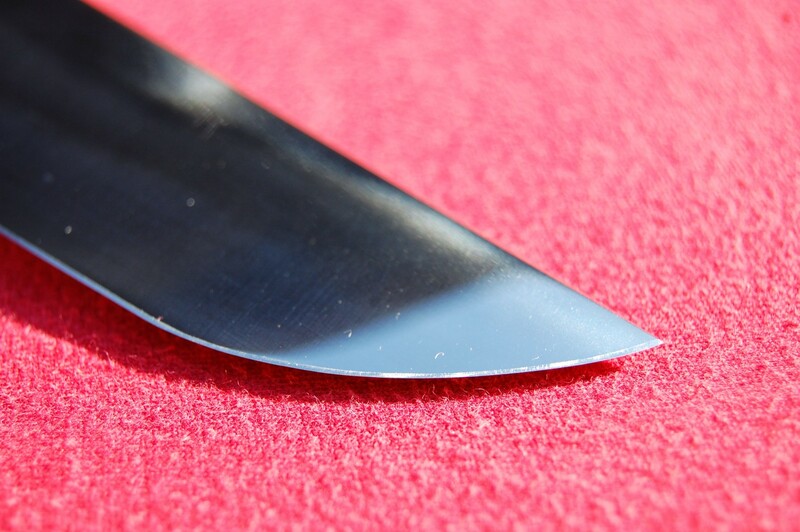 Section contains a multi-purpose and low maintance knives designed to everyday using. 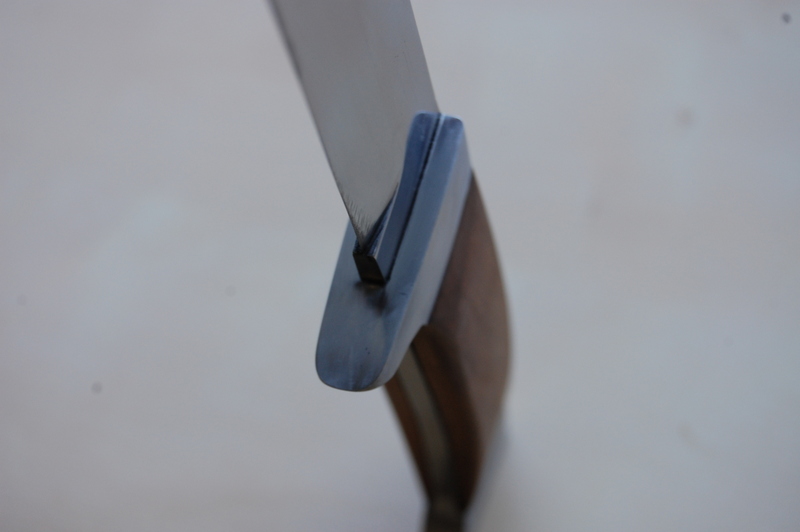 A game of two colours and satin polished surgical steel. 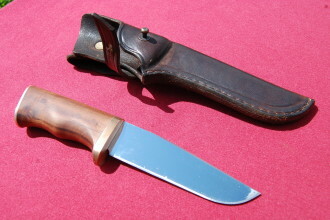 Short and light design. 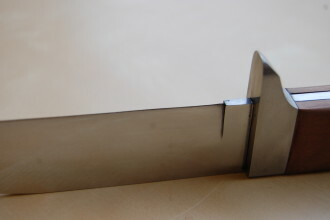 Maitance free materials. 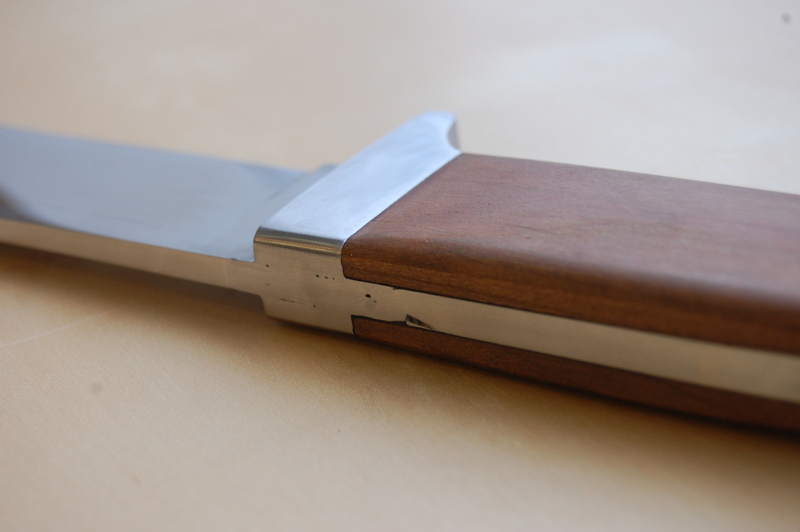 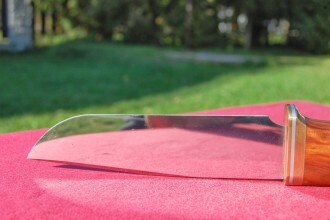 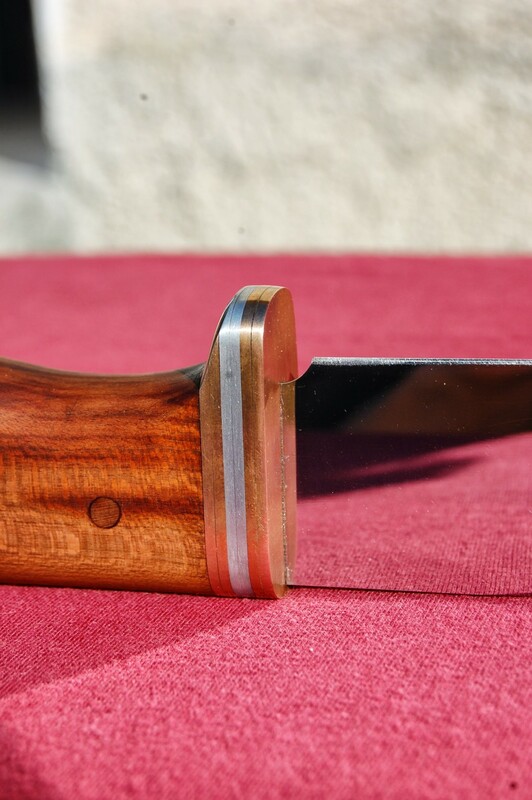 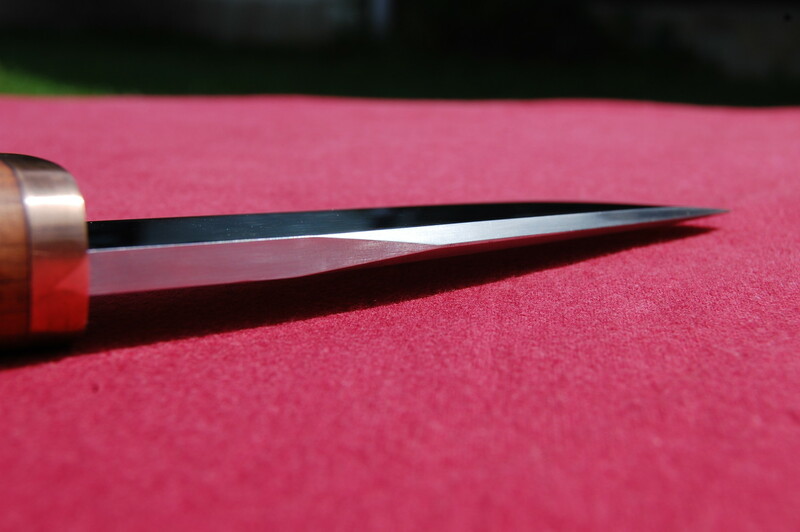 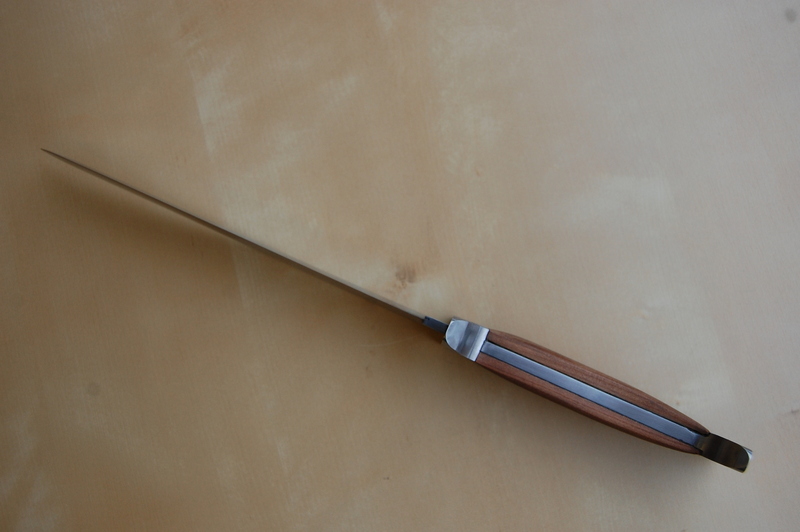 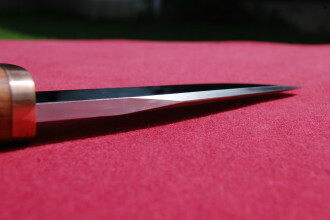 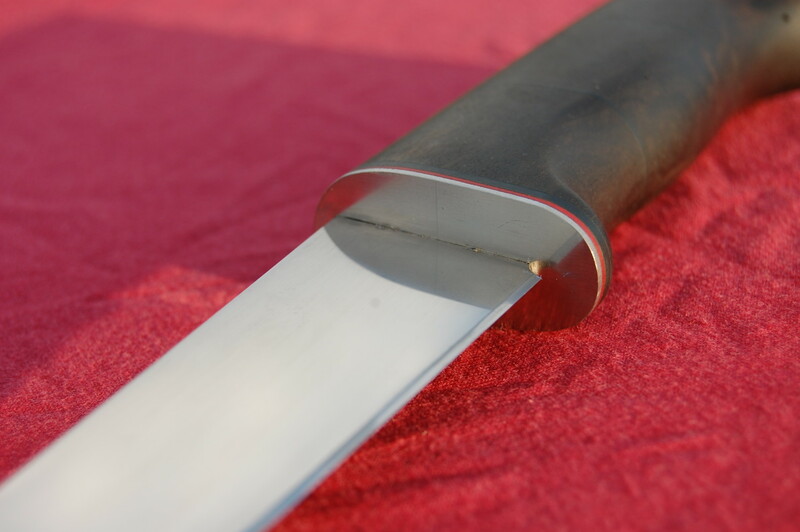 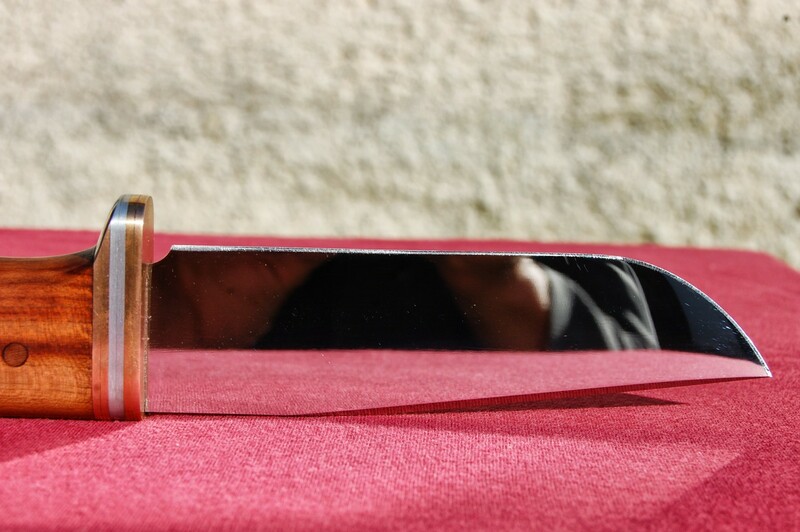 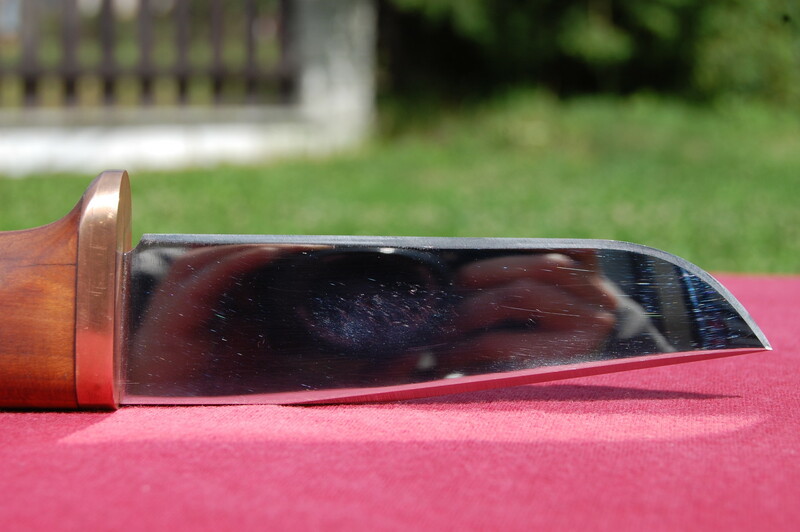 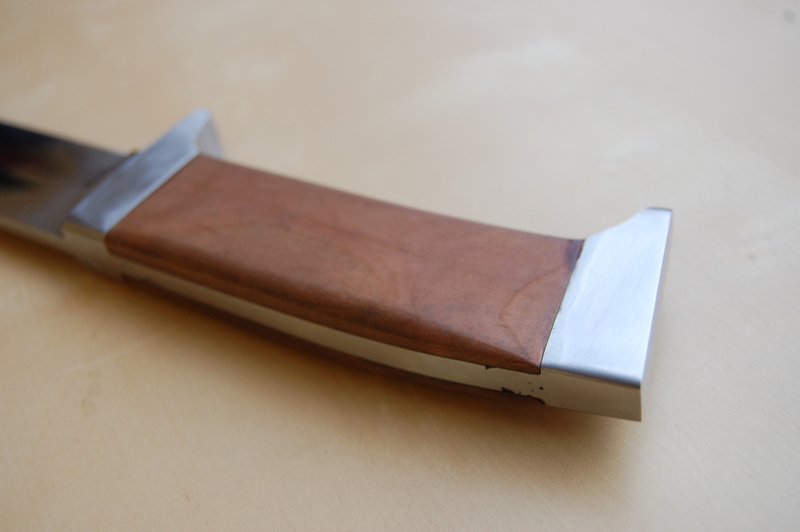 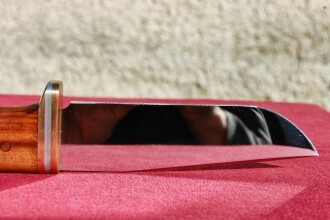 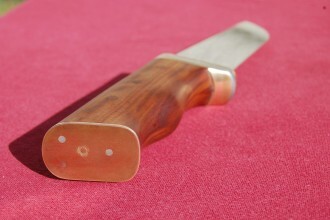 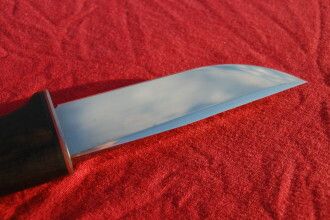 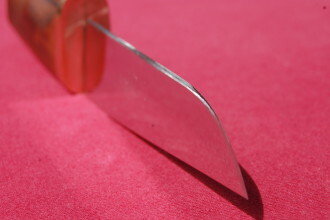 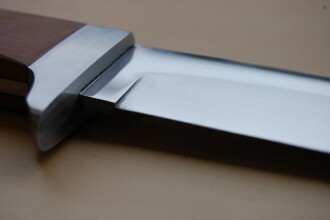 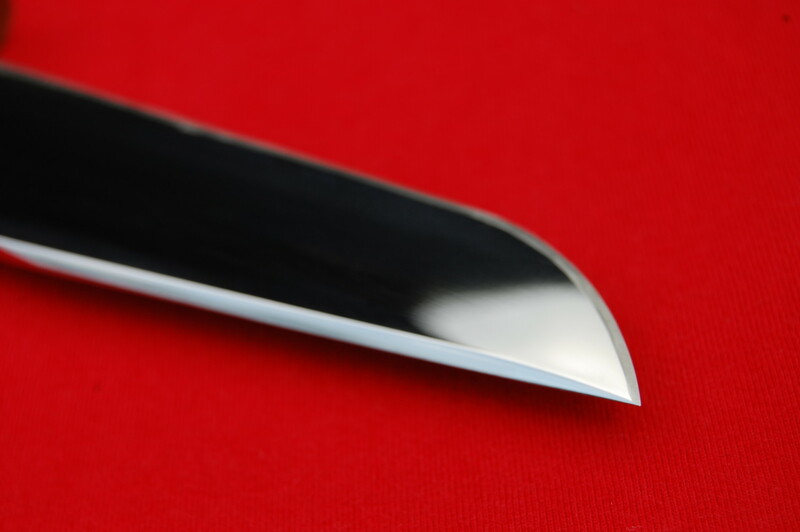 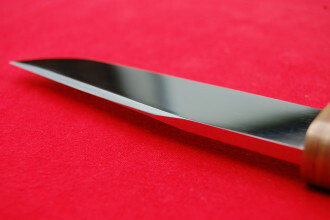 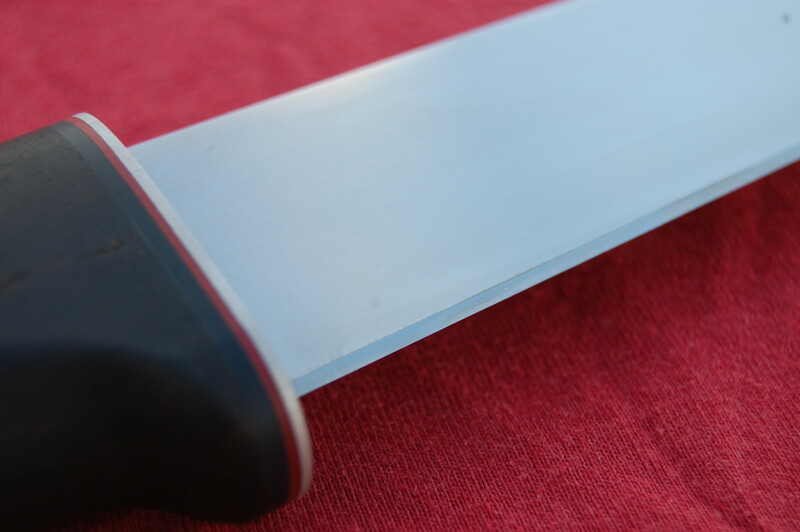 Mirror look stainless steel blade in compact scabbard. 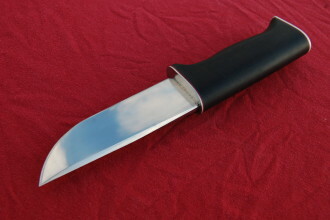 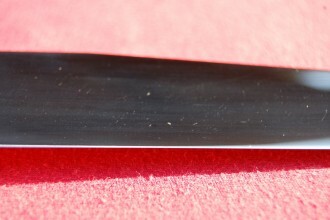 Heavy duty carbon steel integral bowie with 9" long blade. 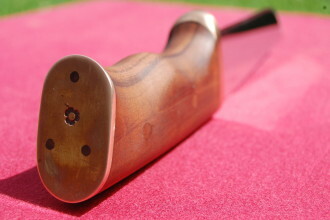 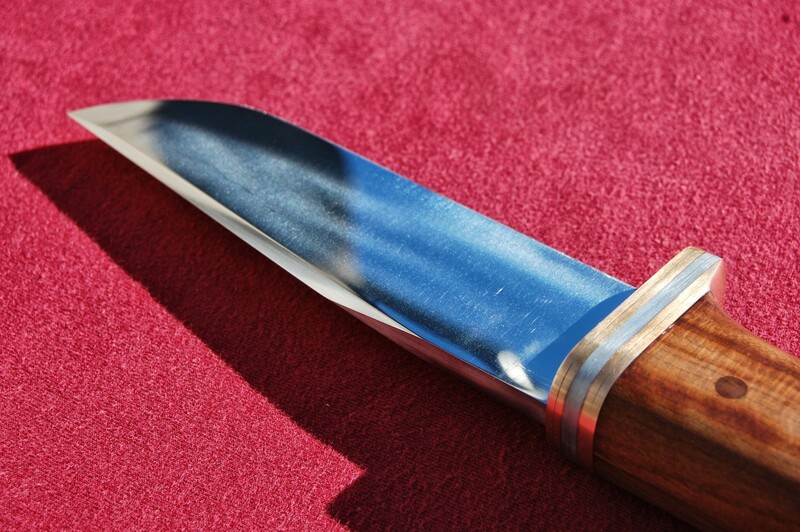 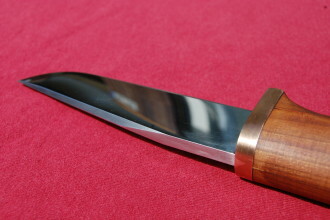 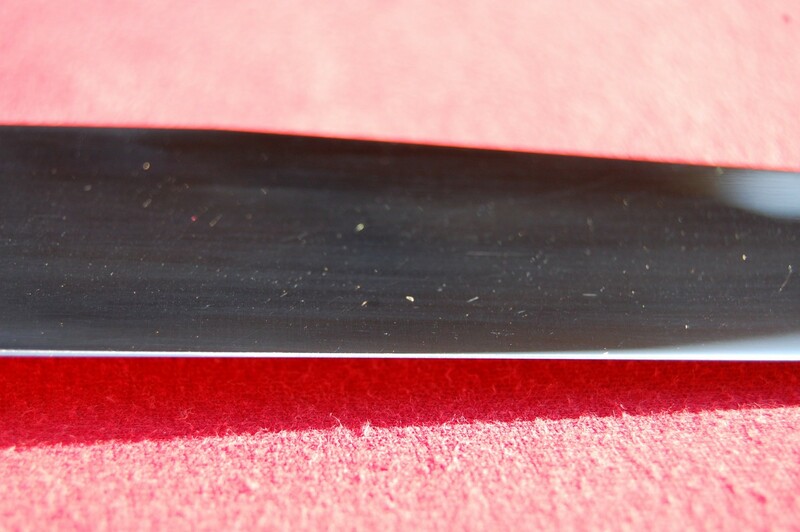 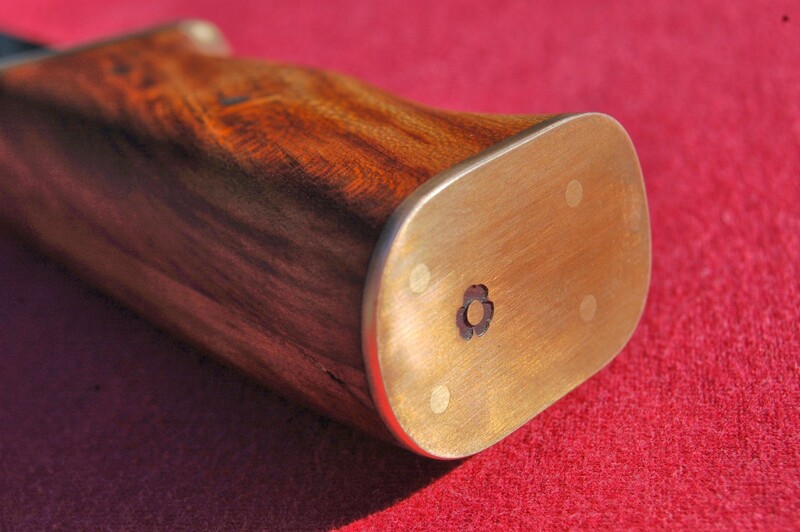 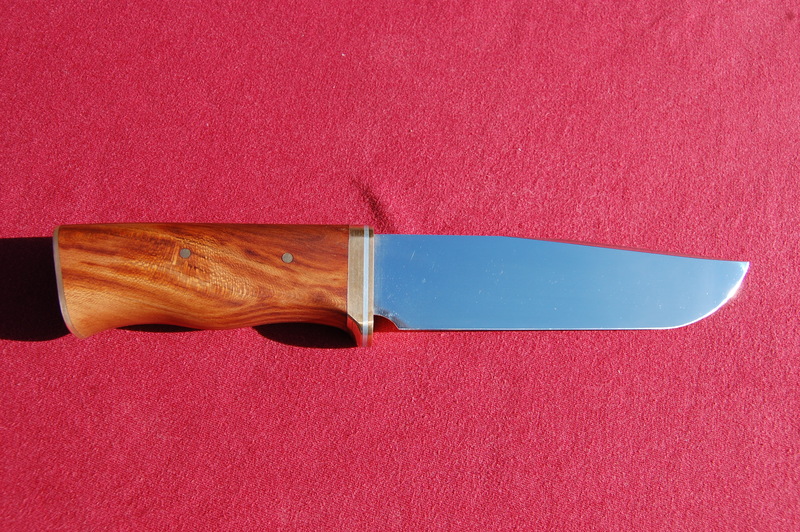 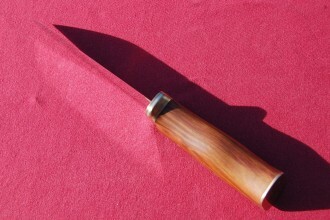 A martensitic Stainless steel combinated with brass and tyger fur look plumwood. 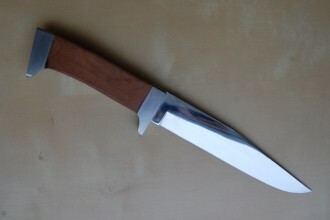 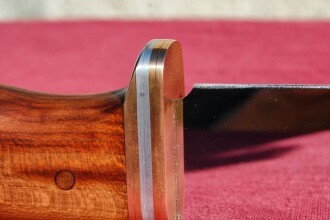 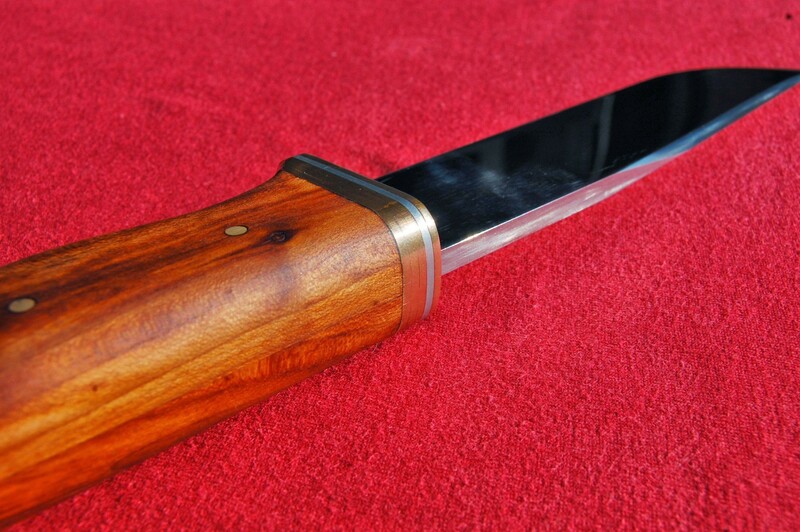 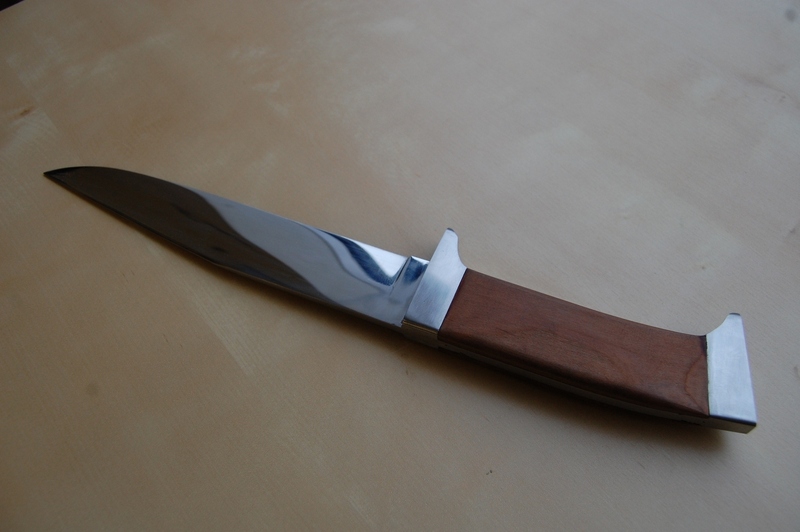 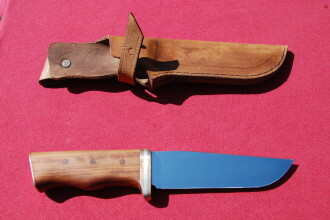 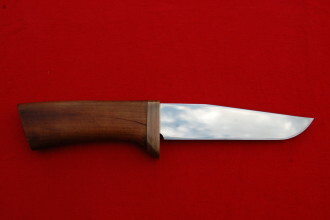 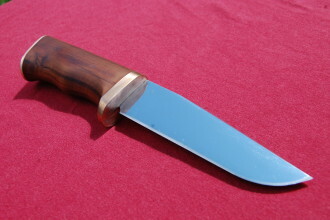 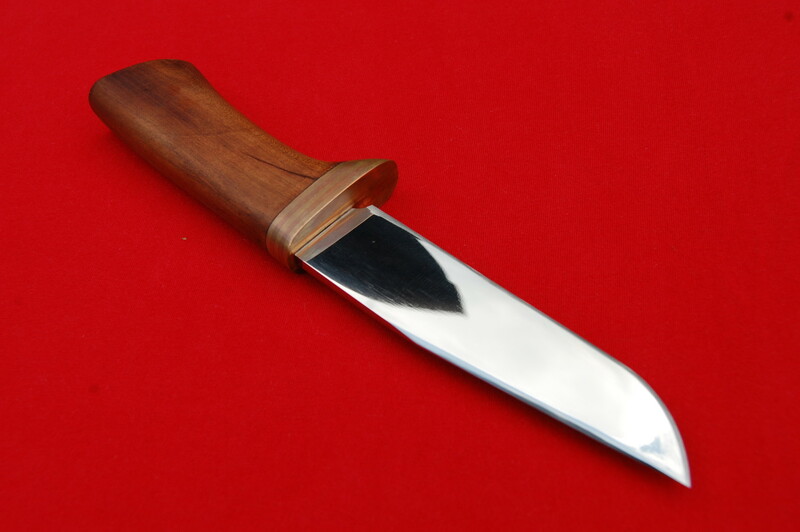 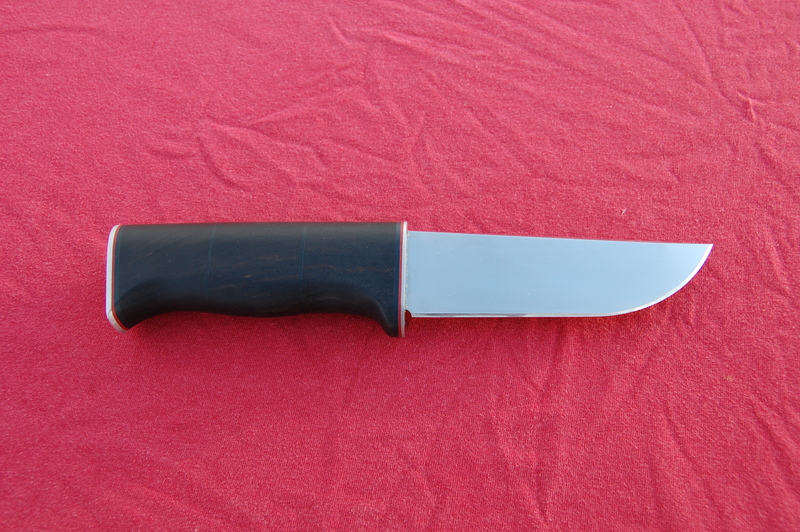 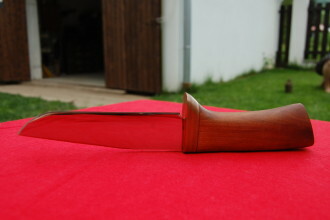 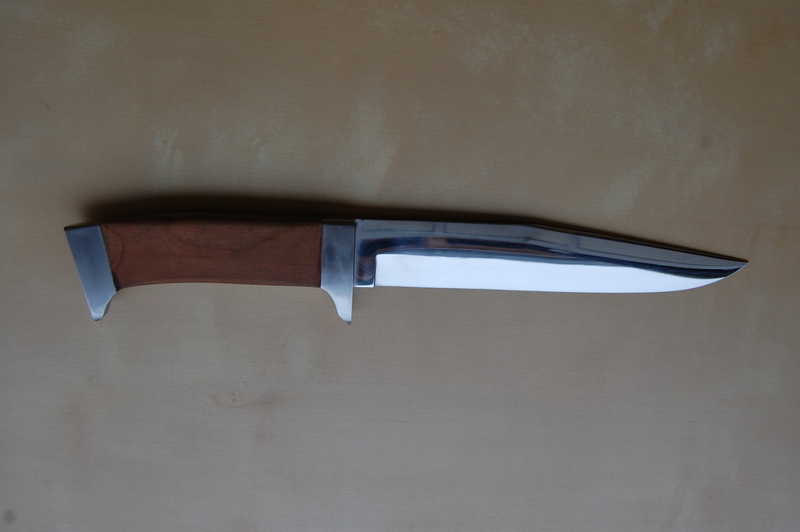 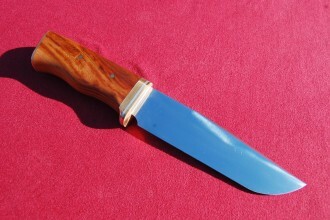 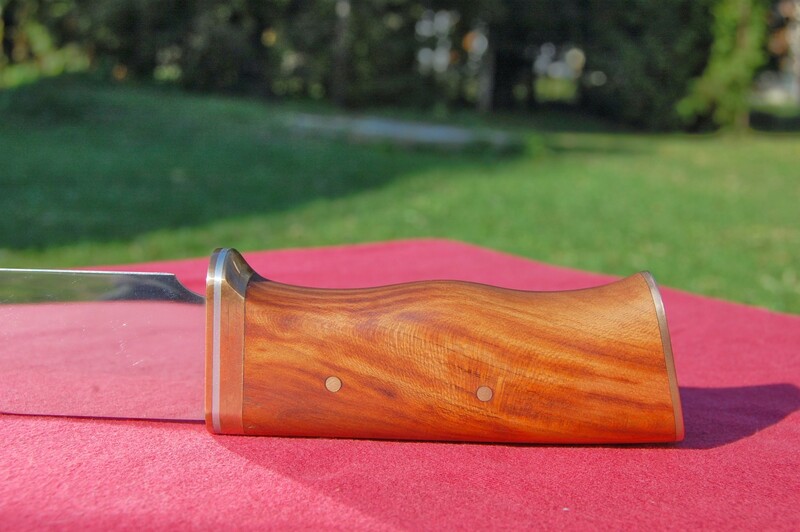 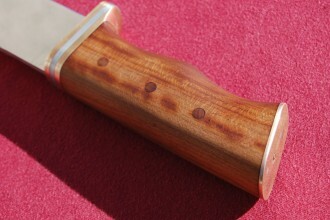 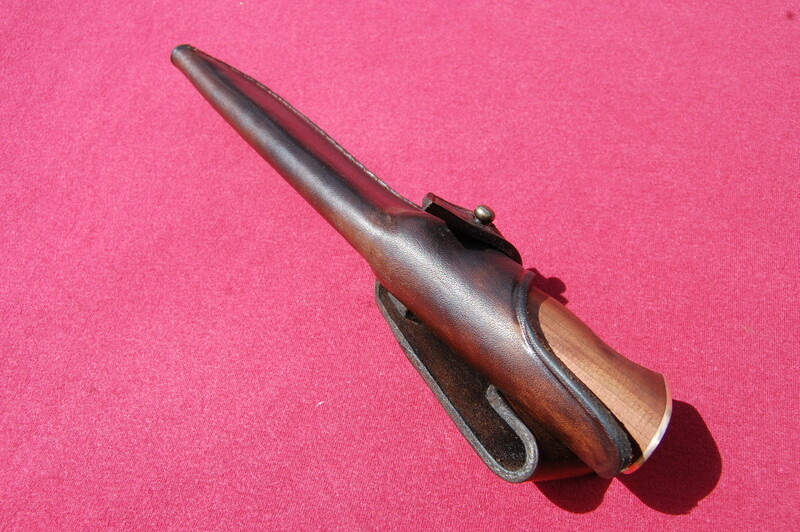 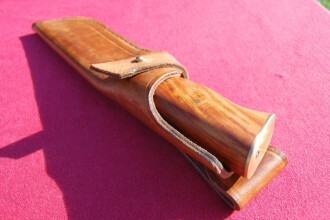 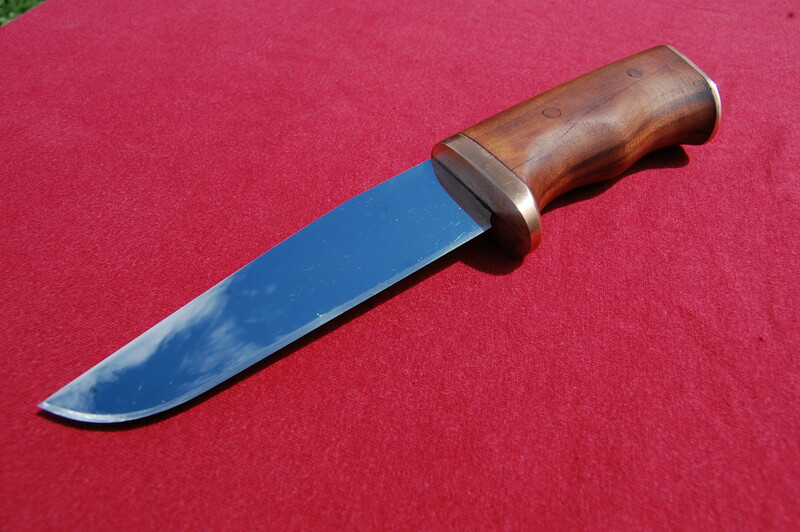 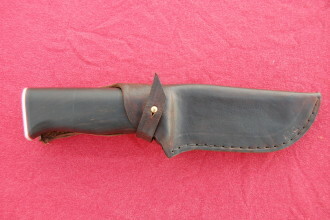 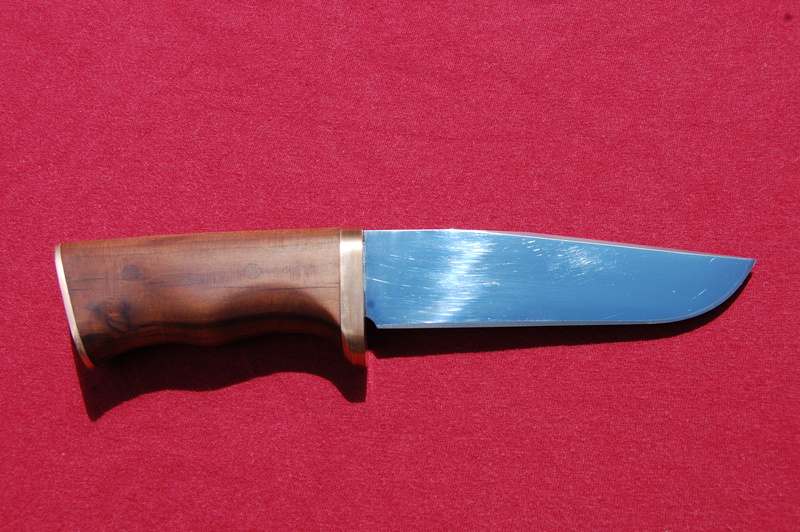 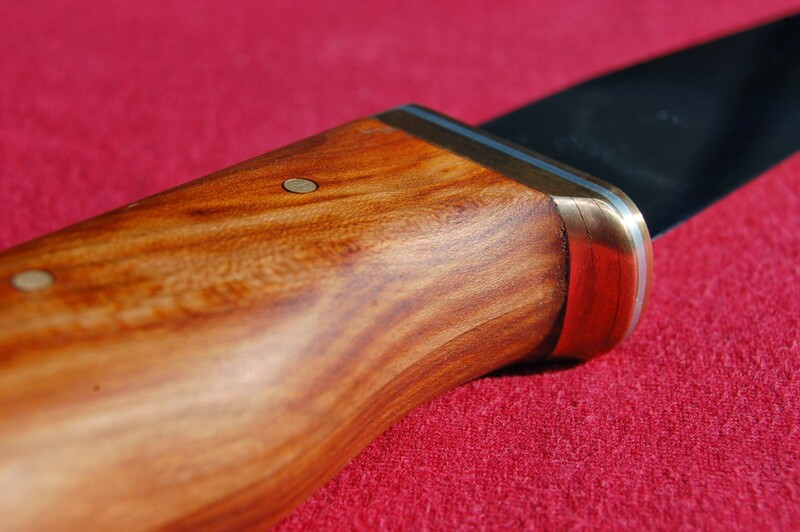 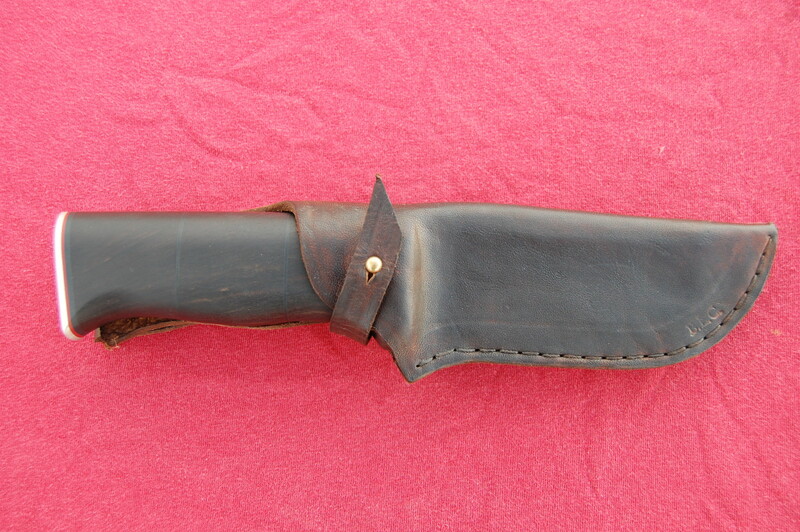 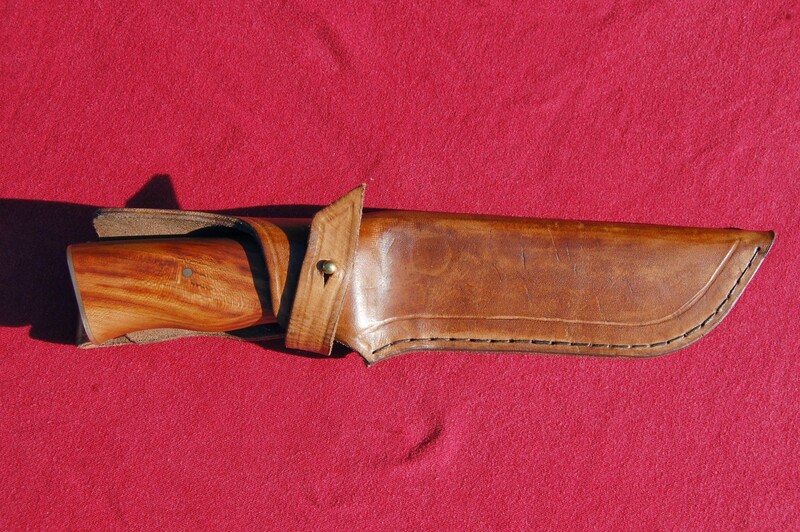 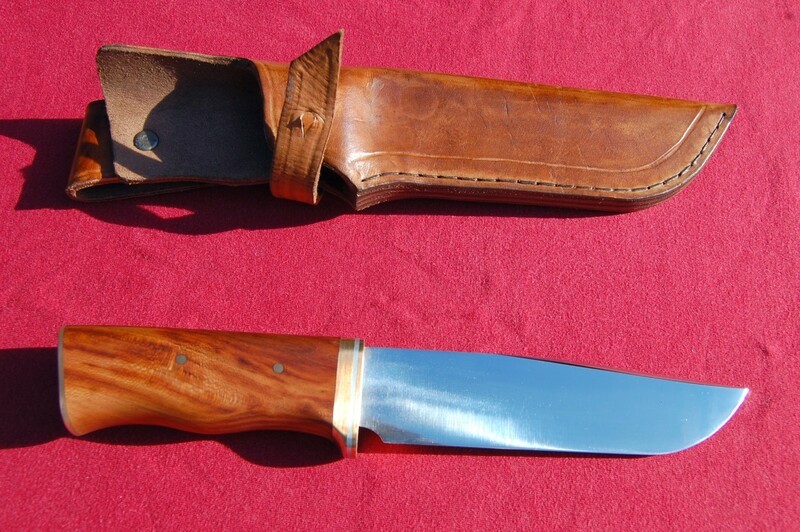 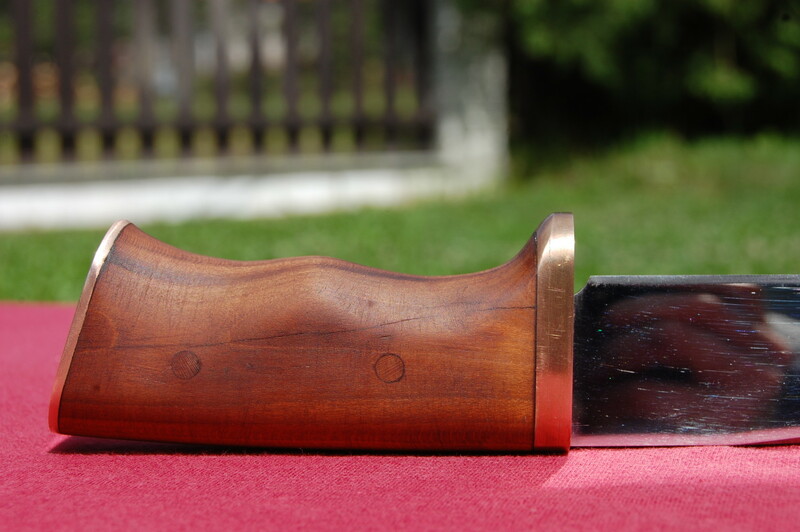 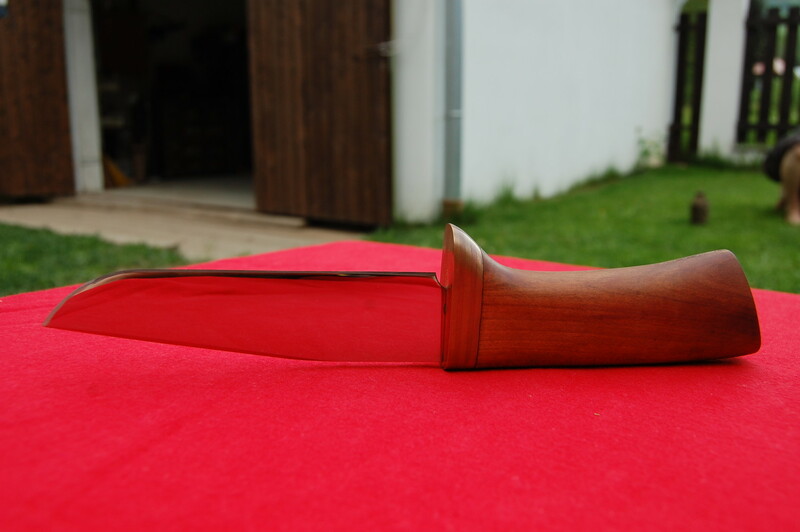 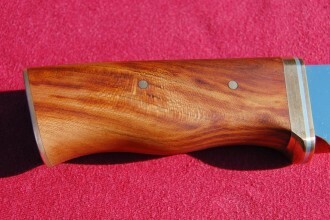 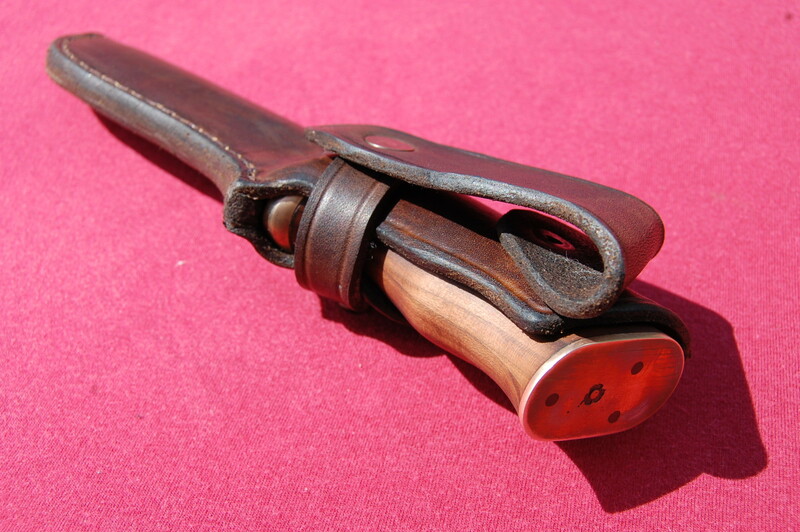 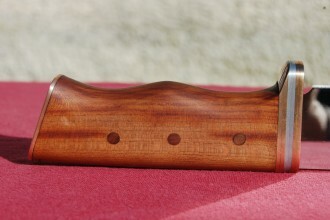 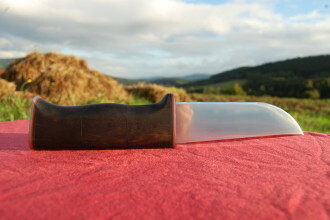 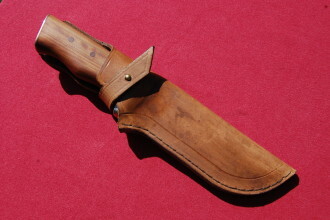 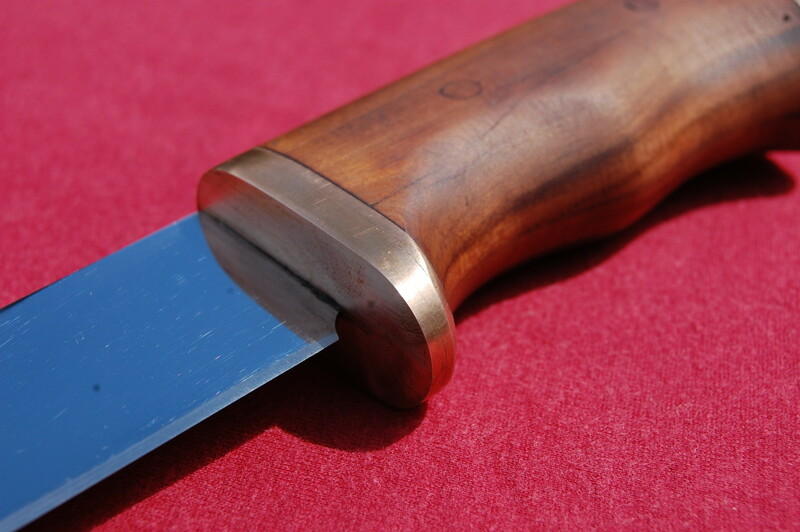 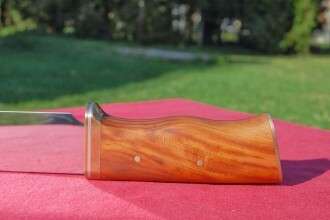 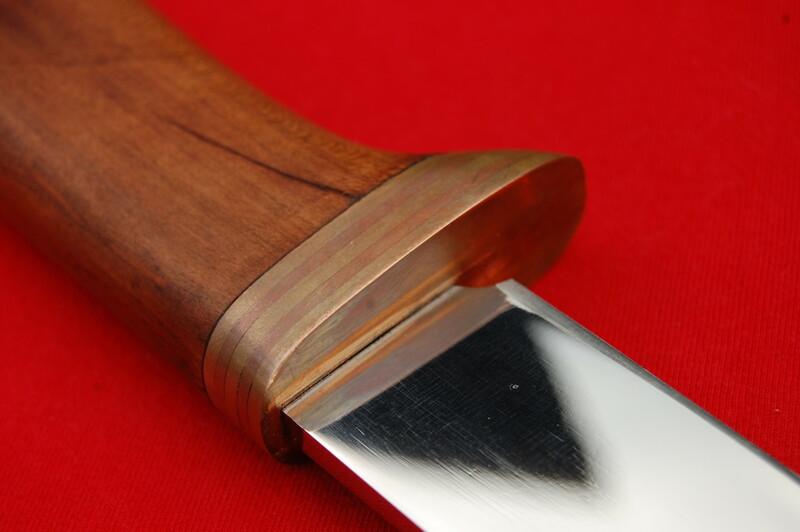 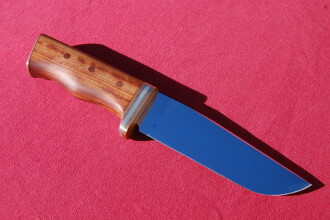 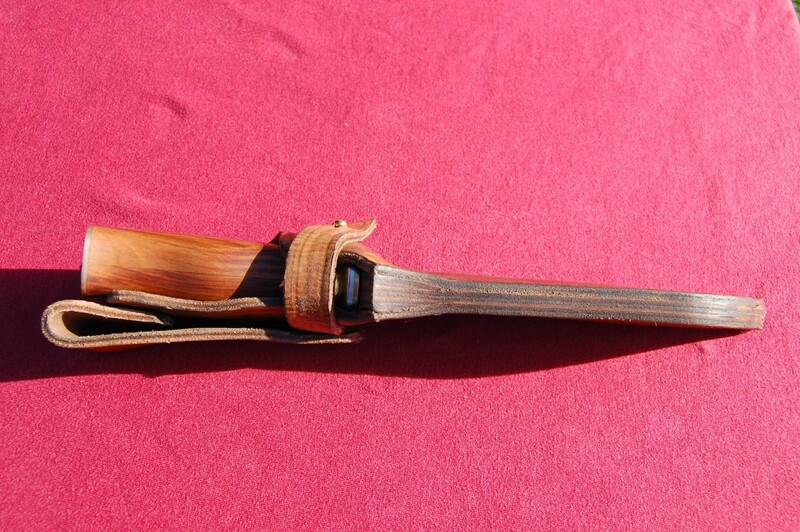 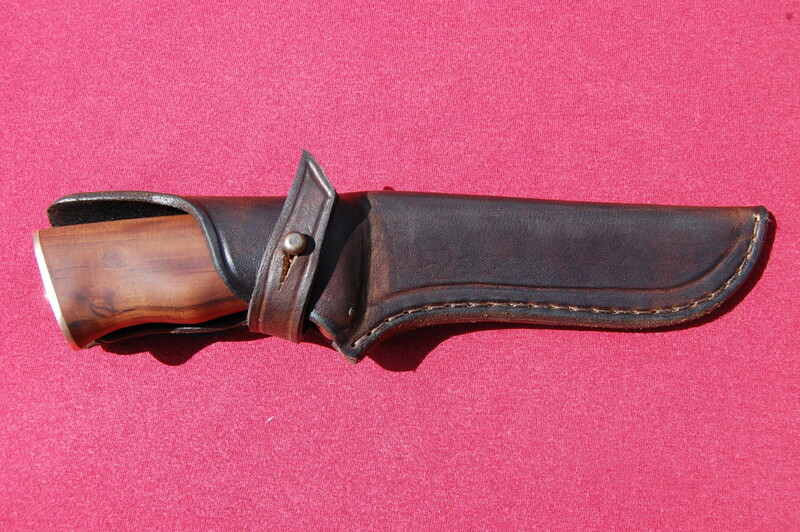 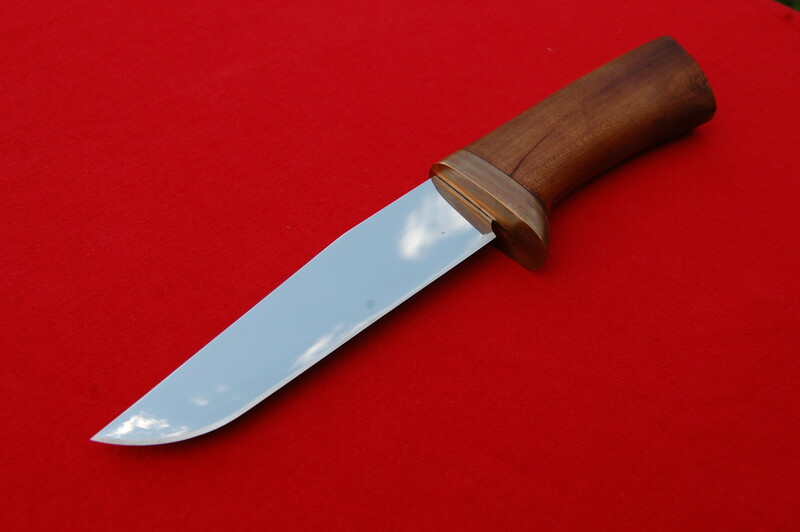 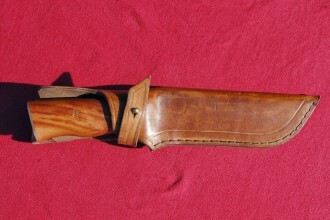 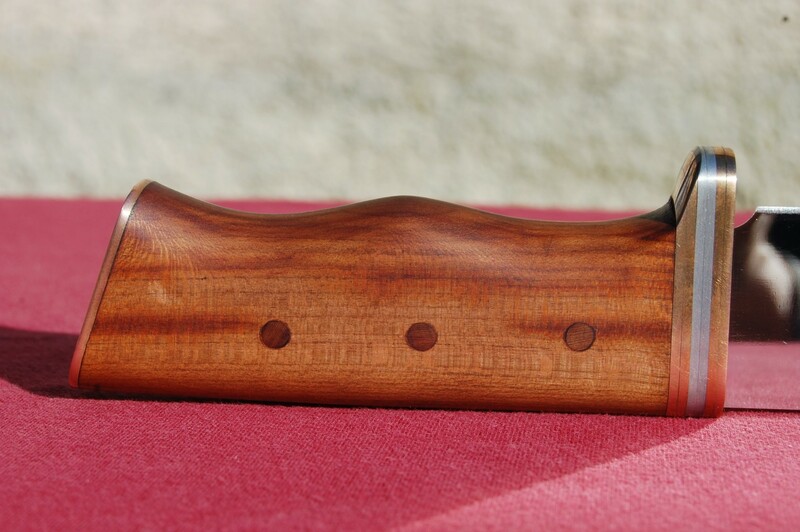 Simply a maitance free hunting knife. 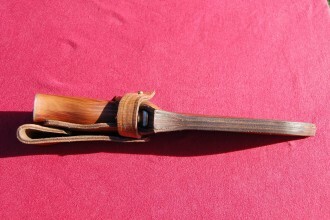 A very special tool with strage birth story connected to world of bikers.